There are many areas and neighborhoods in Charleston to choose from. The possibilities are endless, and with so many to choose from, at times it can be overwhelming. We've provided a list and have narrowed the neighborhoods & communities down to specific area in hopes that it will make things a little bit easier. Charleston Peninsula neighborhoods – Neighborhoods in downtown Charleston are wonderful and varied. In the historic area, there are neighborhoods that date back a few hundred years (South of Broad, Harleston Village, French Quarter). These typically are very expensive to get in to, and have spectacular courtyards, double piazzas, and old-world architecture. These are within walking distance to shops & restaurants, and with some having cobblestone streets. Alternatively, there are other neighborhoods in the northern portion of the Peninsula such as Wagener Terrace, that are very affordable and within biking distance to the Historic district. This area near Hampton Park is becoming more popular and is seeing some great growth and renovation. James Island neighborhoods – James Island has a number of different communities. Most of the neighborhoods on James Island are older, built in the 40’s, 50’s, or 60’s, and are brick ranch homes. There are a lot of tidal creeks on James Island, which allow for homeowners to enjoy waterfront living. Most of the folks on James Island enjoy minutes to downtown, and minutes to Folly Beach. James Island has a number of new communities, but these are more difficult to find and are typically smaller, pocket communities. There are a couple neighborhoods on James Island with pools, and most of the neighborhoods do not have covenants and restrictions. 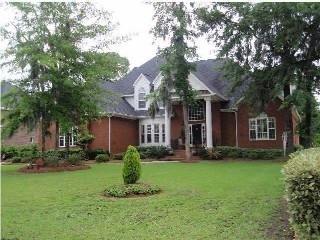 Johns Island neighborhoods – Johns Island is rural, quiet living. Neighborhoods here are typically quieter, and more affordable due to being a little further from downtown Charleston. Johns Island communities have seen a lot of expansion over recent years (especially in the mid 2000’s) and have a number of newer neighborhoods to choose from. Again, being surrounded by water allows for homeowners to choose waterfront living on larger-than-typical lot sizes. Mount Pleasant neighborhoods – Mount Pleasant has more neighborhoods than seemingly any other area in Charleston. There are large, newer neighborhoods with many amenities such as multiple swimming pools, tennis, golf courses, and upscale living. There are also smaller communities closer to downtown. Realtors typically divide Mount Pleasant into 2 distinct areas. Inner Mt. Pleasant, which is South of the Isle of Palms Connector (the Hwy to the beach), and outer Mt. Pleasant, which is North of the IOP Connector. It is a little more difficult to find newer construction in inner Mt. Pleasant, while it is very abundant for outer Mt. Pleasant. Inner Mount Pleasant has more expensive prices due to being closer to downtown Charleston, and outer Mt. P has more large communities with families and schools. Mount Pleasant has seen the most growth of any area, and continually is a favorite destination for those from out of state. North Charleston neighborhoods – North Charleston has a number of different neighborhoods in different price ranges. There are very affordable neighborhoods off of Dorchester Road, and unique neighborhoods such as Park Circle. There are also a few gated golf club neighborhoods such as Coosaw Creek that are a big hit. Wherever you land in North Charleston, know that you are likely less than 20 minutes to downtown, and 30 minutes to the beaches. Summerville neighborhoods – Summerville has its share of established, mature neighborhoods- and plenty of new construction neighborhoods as well. 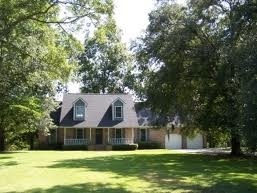 Summerville is such a large area, each neighborhood can have its own style and standard of living. There are the neighborhoods close to the historic area of Summerville, and then there are neighborhoods that are in the outer areas, which are much quieter, more affordable, and having larger lot sizes. Summerville is a self-sustaining town all on its own, while still enjoying close proximity to the beaches and downtown (35-45 minute drive). Summerville has all you could hope for, with exclusive golf neighborhoods, family neighborhoods, new construction communities, and established older communities. Summerville has it all! West Ashley neighborhoods – West Ashley is a large area. It borders downtown Charleston, and you can still live 25 minutes from town in outer West Ashley. Older, established neighborhoods built in the 40’s are close to downtown Charleston, while new construction is plentiful in the outer areas. In between those two extremes, West Ashley is the most affordable option for those wanting to live close to downtown Charleston and the beaches. Neighborhoods can be from the 100’s to the millions, it all depends where you go. Waterfront living is also enjoyed by many here.